Two hours will be sufficient time to hop on the cableway and explore the top of Table Mountain. Save time and skip the ticket office queue — buy your Cableway ticket directly from our tour offices or bus drivers (tickets cannot be bought online or without a bus ticket). Adult return tickets from 8.30am - 1pm cost R290, R275 from 1pm - close. Children return tickets from 8.30am - 1pm cost R140, R135 (1pm - close). Learn more about ticket prices here. Travel tip! 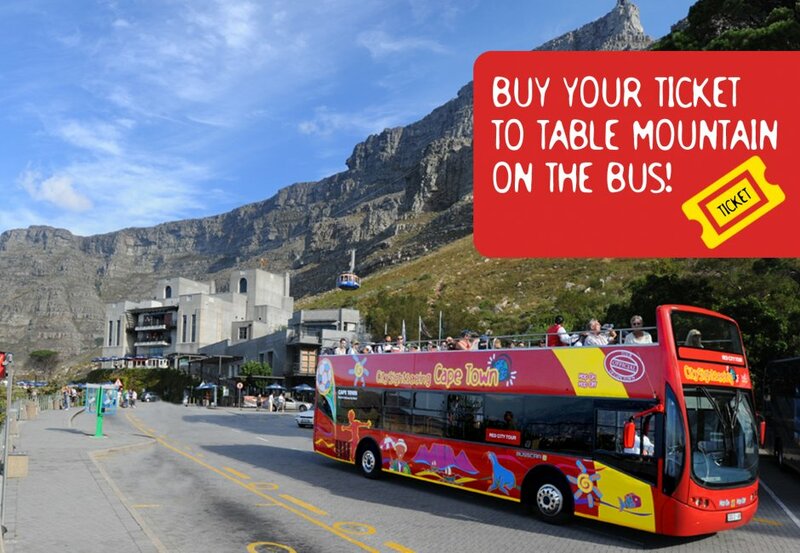 Pre-buy your Table Mountain Cableway ticket from the driver between stops 1 to 6 or City Sightseeing (at stop 1 outside Two Oceans Aquarium, stop 5 at 81 Long Street or stop 8 on Victoria Road, Camps Bay) and skip the queue at the Cableway ticket office. Adult return: R290, children return: R140 (4–17 years). Please note, tickets must be bought between stops 1 to 6 and not at stop 7 (Table Mountain).